The 23GHz version of CableFree FOR3 is ideal for Medium Distance Backbone links for ISPs, Wireless ISPs (WISP), 4G/5G Operator for LTE Backhaul. In this demonstration you can see CableFree FOR3 Microwave Test Results for operation in the 23GHz Band. Our demonstration shows 891Mbps Full Duplex net throughput using 1024QAM modulation in 112MHz channels. CableFree Microwave Links can be aggregated for higher capacity: A 2+0 configuration of this radio in 6GHz would offer 1782Mbps Full Duplex net capacity. 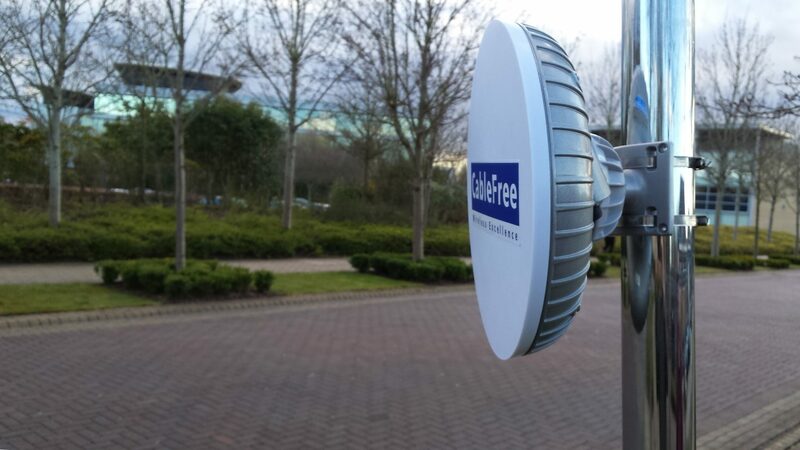 Unique in the wireless industry, CableFree FOR3 is available in both Licensed (3.5 to 42GHz) and Unlicensed (5GHz, 17GHz and 24GHz) bands, allowing for lower Total-Cost-of-Ownership. FOR3 is fully shipping and available in all bands listed from 4 to 42GHz.